Every year, Yokohama conducts Ride & Drives for its dealers across the country. The program offers us an opportunity to test our products outside of the lab. An actual Ride & Drive held at the Cheney Stadium in Seattle, Washington. Yokohama opens Ride & Drives to enthusiasts! Consumers learn firsthand how various Yokohama tires feel during a special Ride & Drive at the Qualcomm Stadium in San Diego, California. An actual Ride & Drive held at Qualcomm Stadium in San Diego, California. Every day we see breakthrough technology in electronics for personal use. 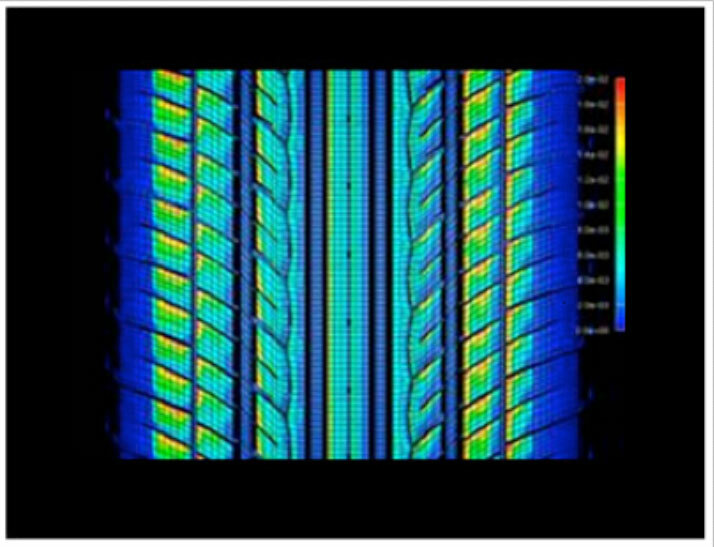 Yokohama employs the most advanced high-speed computing technology to provide our engineers rapid and very detailed design evaluations through computer simulations. This is like the ultimate virtual reality show for design engineers. 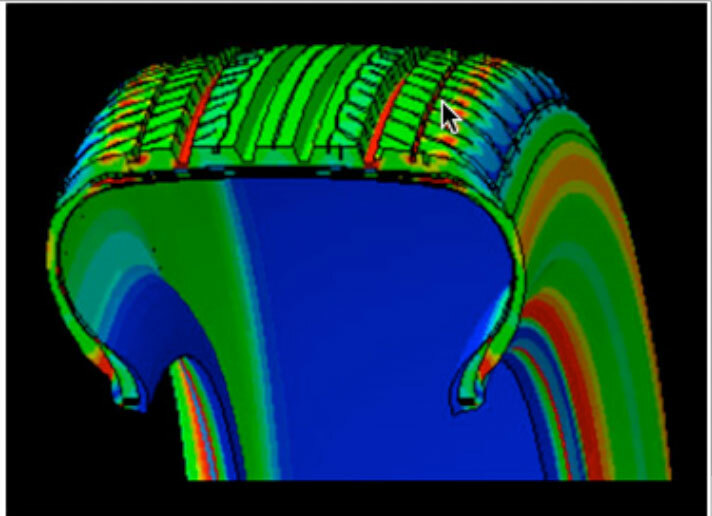 Finite Element Modeling, Rapid prototyping, multiple factor analysis and molecular level evaluations, are a few of the tools that engineers use to design today’s tires. Traction on wet road surfaces is an important part of the product safety we deliver to you in our tires. 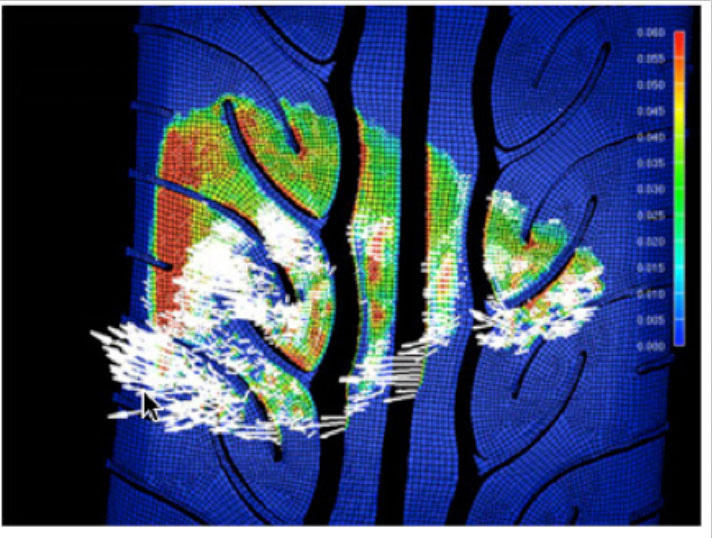 Simulation of hydraulic flow, dynamic tread pattern groove geometry, and water film layer properties, results in a real-world prediction of macro and microscopic road contact characteristics, which equals gripping performance. We maximize the water flow through the footprint at various speeds, minimizing white areas of “little or no contact” at higher speeds. Treadwear mileage is an important part of the product value we deliver to you in our tires. Simulation of the road contact area, tread design elements, multiple axis tire dynamic loading, tread compound properties, tire internal structure, and other tire parameters results in a real-world prediction of friction and abrasion characteristics between the tire and road surface, which equals treadwear performance. We minimize the red/yellow shading end of the scale, which indicates higher abrasion. Fuel consumption while rolling is an important part of the product value and environmental impact we deliver to you in our tires. Simulation of heat generation from tire structural bending, compound hysteresis and tire mass conservation results in a real-world prediction of rolling resistance force which equals fuel consumption. We minimize the higher temperature, red/yellow areas within the tire at highway speed, which equals energy loss. 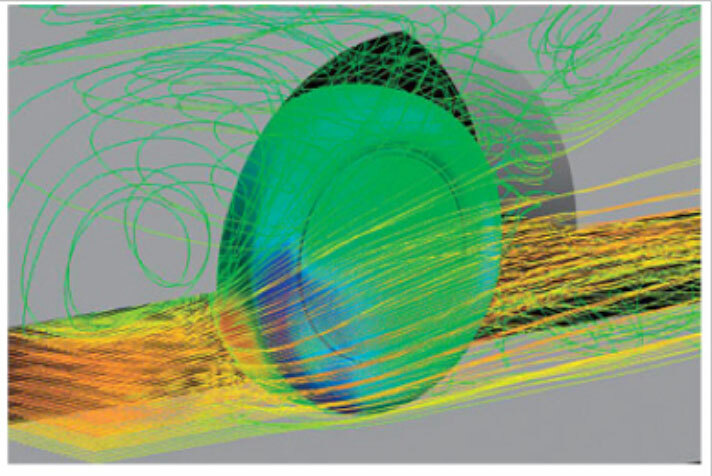 Simulation of the air flow around the tire influenced by the tire profile geometry, sidewall design elements, etc., results in real-world prediction of tire aerodynamic drag which also equals fuel consumption. We minimize the turbulence lines or flow resistance red/yellow areas, which equals drag force.